Even used, the Toyota Camry provides Madison drivers with a high-tech and efficient drive that competitors can’t match. Buying pre-owned means saving more on the features you want. Explore the used Camry models for sale at Westbrook Toyota to find the one that includes all of the features you’re looking for, then take one for a test drive today. In the meantime, if you have any questions, don’t hesitate to contact us. Extra Clean. FUEL EFFICIENT 31 MPG Hwy/22 MPG City! Black exterior and Dark Charcoal interior, SE trim. CD Player, iPod/MP3 Input, Aluminum Wheels. 5 Star Driver Front Crash Rating.KEY FEATURES INCLUDEiPod/MP3 Input, CD Player, Aluminum Wheels Rear Spoiler, MP3 Player, Keyless Entry, Remote Trunk Release, Steering Wheel Controls. Toyota SE with Black exterior and Dark Charcoal interior features a V6 Cylinder Engine with 268 HP at 6200 RPM*.EXPERTS ARE SAYINGMotor Trend Car of the Year. In tune with the needs of midsize car buyers, the Camry provides excellent fuel economy, offers responsive handling while providing the smooth, quiet ride that sets a benchmark for the segment. -MotorTrend.com. 5 Star Driver Front Crash Rating. 5 Star Driver Side Crash Rating. 5 Star Passenger Front Crash Rating. 5 Star Passenger Side Crash Rating. Great Gas Mileage: 31 MPG Hwy. AutoCheck One Owner Approx. Original Base Sticker Price: $24,800*.WHO WE AREAll preowned vehicles are covered by the Lorensen Advantage, including extended warranties and free services. For more information go to www.lorensen.com/lorensen-advantage.Pricing analysis performed on 4/19/2019. Horsepower calculations based on trim engine configuration. Fuel economy calculations based on original manufacturer data for trim engine configuration. Please confirm the accuracy of the included equipment by calling us prior to purchase. SE trim. JUST REPRICED FROM $12,410, EPA 35 MPG Hwy/25 MPG City! Bluetooth, CD Player, Aluminum Wheels, iPod/MP3 Input. CLICK ME!KEY FEATURES INCLUDEiPod/MP3 Input, Bluetooth, CD Player, Aluminum Wheels Rear Spoiler, MP3 Player, Keyless Entry, Remote Trunk Release, Child Safety Locks.VEHICLE REVIEWSWith its well-rounded nature and long-standing history of dependability, the 2013 Camry stands as one of the top choices in the highly competitive midsize sedan segment. -Edmunds.com. Great Gas Mileage: 35 MPG Hwy.A GREAT VALUEWas $12,410. Approx. Original Base Sticker Price: $23,400*.OUR OFFERINGSAll preowned vehicles are covered by the Lorensen Advantage, including extended warranties and free services. For more information go to www.lorensen.com/lorensen-advantage.Pricing analysis performed on 4/17/2019. Fuel economy calculations based on original manufacturer data for trim engine configuration. Please confirm the accuracy of the included equipment by calling us prior to purchase. SE trim. WAS $16,962, FUEL EFFICIENT 35 MPG Hwy/25 MPG City! Toyota Certified, Excellent Condition. Bluetooth, CD Player, iPod/MP3 Input, Aluminum Wheels, Back-Up Camera, Serviced here, All Service Records Available. AND MORE!KEY FEATURES INCLUDEBack-Up Camera, iPod/MP3 Input, Bluetooth, CD Player, Aluminum Wheels Rear Spoiler, MP3 Player, Keyless Entry, Remote Trunk Release, Steering Wheel Controls. Toyota SE with SUPER WHITE exterior and BLACK interior features a 4 Cylinder Engine with 178 HP at 6000 RPM*. Serviced here, All Service Records Available.EXPERTS REPORTEdmunds.com's review says The 2016 Toyota Camry provides one of the most comfortable and spacious cabins of any midsize family sedan. There's plenty of headroom and legroom up front and not much less in back, where even taller adults will be content to ride for extended periods.. Great Gas Mileage: 35 MPG Hwy.EXCELLENT VALUEReduced from $16,962.PURCHASE WITH CONFIDENCE12-Month/12,000-Mile Limited Comprehensive Warranty, 7 Year/100,000 Mile Limited Powertrain Warranty from date of original purchase, 160-Point Inspection and Reconditioning, 1 Year of Roadside Assistance, Vehicle History ReportWHO WE AREAll preowned vehicles are covered by the Lorensen Advantage, including extended warranties and free services. For more information go to www.lorensen.com/lorensen-advantage.Pricing analysis performed on 4/18/2019. Horsepower calculations based on trim engine configuration. Fuel economy calculations based on original manufacturer data for trim engine configuration. Please confirm the accuracy of the included equipment by calling us prior to purchase. Toyota Certified, Excellent Condition, GREAT MILES 52,675! FUEL EFFICIENT 38 MPG Hwy/40 MPG City! NAV, Sunroof, Bluetooth, CD Player, Dual Zone A/C, Keyless Start, Hybrid, MOONROOF PACKAGE, Back-Up Camera, Alloy Wheels CLICK NOW!KEY FEATURES INCLUDEBack-Up Camera, Hybrid, Bluetooth, CD Player, Aluminum Wheels, Keyless Start, Dual Zone A/C Rear Spoiler, Remote Trunk Release, Keyless Entry, Steering Wheel Controls, Child Safety Locks.OPTION PACKAGESRADIO: DISPLAY AUDIO W/NAVIGATION & ENTUNE 10 speakers and Satellite radio, MOONROOF PACKAGE power tilt/slide moonroof anti-pinch type w/rear personal lamp and dual illuminated visor vanity mirrors. Toyota SE Limited Edition with Barcelona Red Metallic exterior and Black interior features a 4 Cylinder Engine with 200 HP at 5700 RPM*. Serviced here, Originally bought here, 4 New Tires! Upgraded stereo that can be accessorized to provide GPS Navigation, and more!EXPERTS ARE SAYINGEdmunds.com explains Like other Camrys, the hybrid also boasts comfortable seating front and rear, good outward visibility and an ideal balance between a smooth, quiet ride and responsive handling.. Great Gas Mileage: 40 MPG City. Approx. Original Base Sticker Price: $27,900*.PURCHASE WITH CONFIDENCEAutoCheck One Owner 12-Month/12,000-Mile Limited Comprehensive Warranty, 7 Year/100,000 Mile Limited Powertrain Warranty from date of original purchase, 160-Point Inspection and Reconditioning, 1 Year of Roadside Assistance, Vehicle History ReportWHY BUY FROM USAll preowned vehicles are covered by the Lorensen Advantage, including extended warranties and free services. For more information go to www.lorensen.com/lorensen-advantage.Pricing analysis performed on 4/18/2019. Horsepower calculations based on trim engine configuration. Fuel economy calculations based on original manufacturer data for trim engine configuration. Please confirm the accuracy of the included equipment by calling us prior to purchase. Toyota Certified, Excellent Condition, GREAT MILES 26,425! EPA 35 MPG Hwy/25 MPG City! Bluetooth, CD Player, Back-Up Camera, iPod/MP3 Input, Serviced here, Non-Smoker vehicle, Originally bought here, All Service Records Available. CLICK ME!KEY FEATURES INCLUDEBack-Up Camera, iPod/MP3 Input, Bluetooth, CD Player. MP3 Player, Keyless Entry, Remote Trunk Release, Steering Wheel Controls, Child Safety Locks. Toyota LE with Midnight Black Metallic exterior and Black interior features a 4 Cylinder Engine with 178 HP at 6000 RPM*. Serviced here, Non-Smoker vehicle, Originally bought here, All Service Records Available.EXPERTS ARE SAYINGThe 2016 Toyota Camry provides one of the most comfortable and spacious cabins of any midsize family sedan. There's plenty of headroom and legroom up front and not much less in back, where even taller adults will be content to ride for extended periods. -Edmunds.com. Great Gas Mileage: 35 MPG Hwy.PURCHASE WITH CONFIDENCEAutoCheck One Owner 12-Month/12,000-Mile Limited Comprehensive Warranty, 7 Year/100,000 Mile Limited Powertrain Warranty from date of original purchase, 160-Point Inspection and Reconditioning, 1 Year of Roadside Assistance, Vehicle History ReportBUY FROM AN AWARD WINNING DEALERAll preowned vehicles are covered by the Lorensen Advantage, including extended warranties and free services. For more information go to www.lorensen.com/lorensen-advantage.Pricing analysis performed on 4/6/2019. Horsepower calculations based on trim engine configuration. Fuel economy calculations based on original manufacturer data for trim engine configuration. Please confirm the accuracy of the included equipment by calling us prior to purchase. Toyota Certified, Very Nice, LOW MILES - 33,593! FUEL EFFICIENT 35 MPG Hwy/25 MPG City! LE trim, Celestial Silver Metallic exterior and Ash interior. Bluetooth, CD Player, iPod/MP3 Input, PROTECTION PACKAGE (Q2), Back-Up Camera CLICK ME!KEY FEATURES INCLUDEBack-Up Camera, iPod/MP3 Input, Bluetooth, CD Player. MP3 Player, Keyless Entry, Remote Trunk Release, Steering Wheel Controls, Child Safety Locks.OPTION PACKAGESPROTECTION PACKAGE (Q2) Door Sill Enhancements, Rear Bumper Applique, Body Side Moldings. Toyota LE with Celestial Silver Metallic exterior and Ash interior features a 4 Cylinder Engine with 178 HP at 6000 RPM*.EXPERTS ARE SAYINGEdmunds.com explains The 2016 Toyota Camry provides one of the most comfortable and spacious cabins of any midsize family sedan. There's plenty of headroom and legroom up front and not much less in back, where even taller adults will be content to ride for extended periods.. Great Gas Mileage: 35 MPG Hwy.SHOP WITH CONFIDENCE12-Month/12,000-Mile Limited Comprehensive Warranty, 7 Year/100,000 Mile Limited Powertrain Warranty from date of original purchase, 160-Point Inspection and Reconditioning, 1 Year of Roadside Assistance, Vehicle History ReportMORE ABOUT USAll preowned vehicles are covered by the Lorensen Advantage, including extended warranties and free services. For more information go to www.lorensen.com/lorensen-advantage.Pricing analysis performed on 4/12/2019. Horsepower calculations based on trim engine configuration. Fuel economy calculations based on original manufacturer data for trim engine configuration. Please confirm the accuracy of the included equipment by calling us prior to purchase. 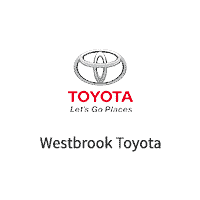 When you choose to buy from us at Westbrook Toyota, you’ll find more than just your next vehicle. At Westbrook Toyota, you’ll benefit from our service specials, highly-trained technicians, and quality parts. Find what you need and keep up with your vehicle’s recommended maintenance for an affordable price. Learn more when you visit us near Old Saybrook or contact us today to schedule a test drive. We’ll walk you through all our popular used Toyota models, from the used Camry to the used RAV4 and used Highlander SUVs.